The SignLink Braille Imprint Range of braille pictograms have been moulded from a single piece of polycarbonate. 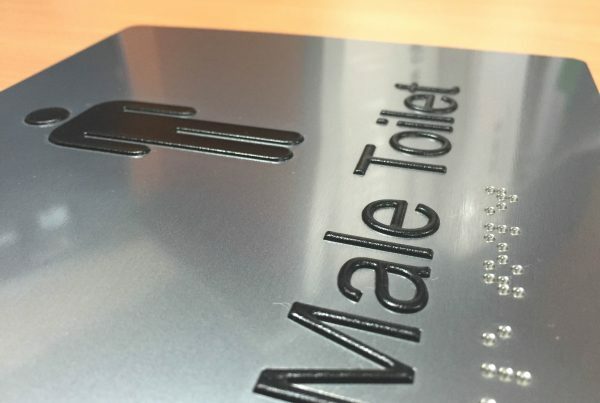 The braille and tactile elements are all raised so that they comply with the building code and the print is on the reverse side of the sign face, preventing it from being scratched off. Being a fully moulded sign none of the braille or raised elements will fall off. 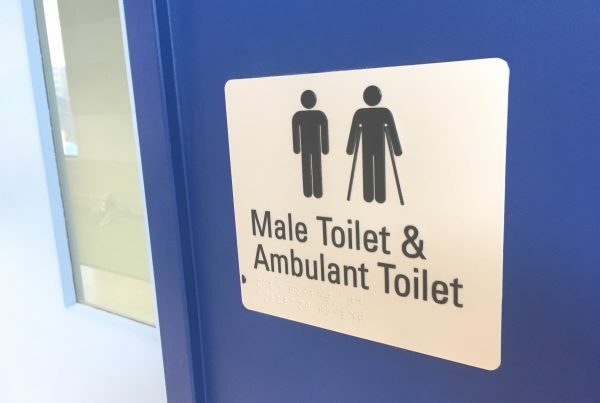 This is a major advantage over the traditional braille signs, which have individual braille and tactile elements glued to the face of the sign. The signs have a multi layered construction with the polycarbonate face mounted onto a semi-rigid polyethylene plastic backing plate. The polycarbonate is vandal and fade resistant, making the sign suitable for the indoor and outdoor use. They are supplied with 3M 467 M double sided tape applied to 100% of the back of the sign, ready for installation. The signs are suitable to be mounted directly to flat surfaces such as gyprock, painted timber, glass etc. 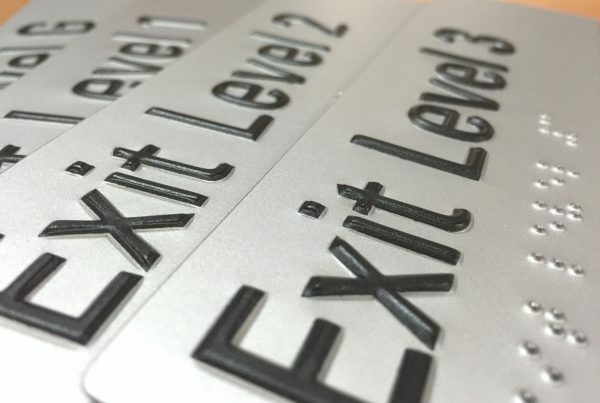 If signs are to be mounted onto brickwork or heavy textured surfaces, we can supply them with a rigid aluminium backing plate. Signs that are supplied with an aluminium backing are not supplied with double sided tape unless specifically requested. The product range has been designed specifically for hospitals and medical environments. The one piece sign reduces the risk of bacteria contamination. The polycarbonate face is able to cope with aggressive cleaning regimes.